Please join Da’in Johnson of Dar al Noor, Dr. Lisa Kenkermath of Manassas Presbyterian Church and host Rabbi Lizz Goldstein of Congregation Ner Shalom for a panel discussion on environmental stewardship sponsored by Rumi Forum. The biblical starting point for any discussion of religious environmental stewardship is anchored around the Book of Genesis. Likewise, The Holy Qur’an and Sunnah are a guiding light for Muslims to promote sustainable development within their home countries and around the world. In modern times however, the Abrahamic vision of the relationship between God, man and nature becomes muddled. In light of these contemporary confusions about the true nature of stewardship, and because the concept is so central to the concern of religious tradition, this panel will hope to shed light on the common concerns, beliefs and aspirations of environmental stewardship. Come join your friends and neighbors throughout our community April 21 from 5:00 – 7:00 p. m. for panel presentations followed by a Question and Answer period and reception. 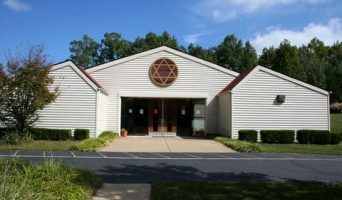 Congregation Ner Shalom is at 14010 Spriggs Road, Woodbridge.